When I was contacted by Simply Be to see if I wanted to take part in their Christmas Party Dress challenge, I was keen to join in. I have a few staple dresses which have been my 'go to' items in the past, but, with the year I've had, I was hoping for something a little more outside of my comfort zone. I knew that this would push me well and truly out of my comfort zone! The pink underneath is the brightest, hottest pink you can imagine, and the lace detail sits perfectly. 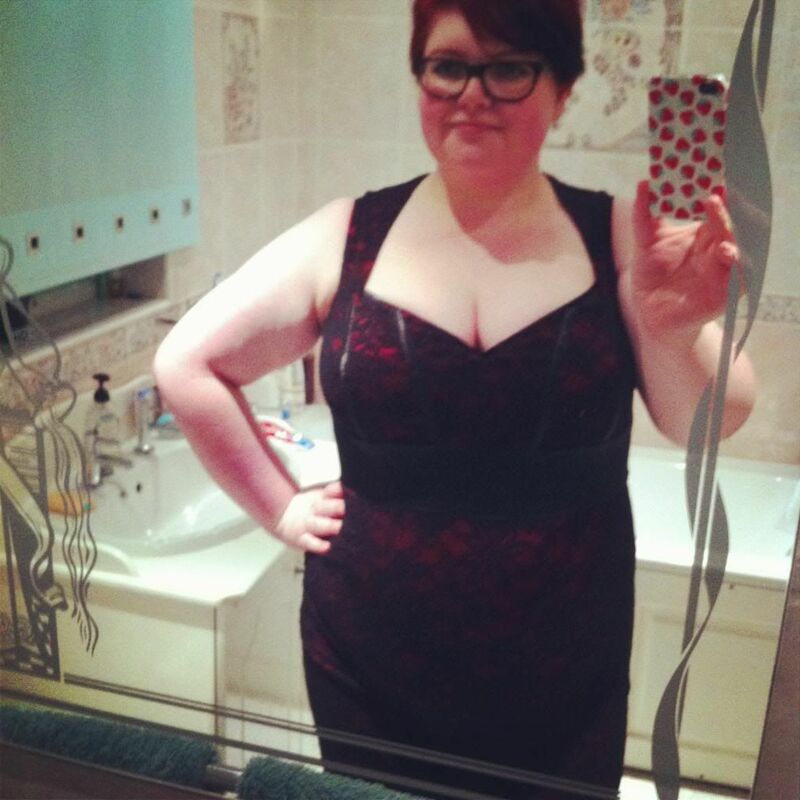 The sweetheart neckline sits wonderfully on my 36H chest, and as you can see, even I'm surprised about the overall effect! 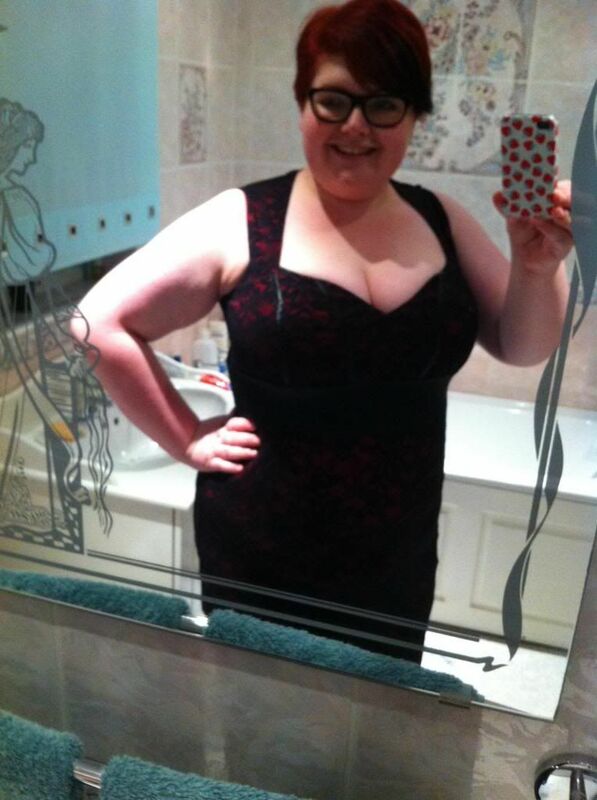 Once I've pulled everything down and wiggled (literally, wiggled) my way into this dress, I've all set and ready to go! And when I say high waisted, I MEAN high waisted! I won these as part of George's big giveaway in February, and I'm so glad I finally have GOOD shapewear. I am surprised by how much I do love this dress. It is something completely removed from my usual choice of style / colour / fit, but I think that is why I can see myself wearing this. I'm becoming a person who WOULD wear something like this! I'm so honoured to be a part of the Simply Be Blogger Edit, and glad I went outside of my comfort zone with the dress! Va va vooom this Christmas! Ahem, thank you! (I think!) I charge extra for those EXACT knickers! You look fan-bloody-tastic in that dress!